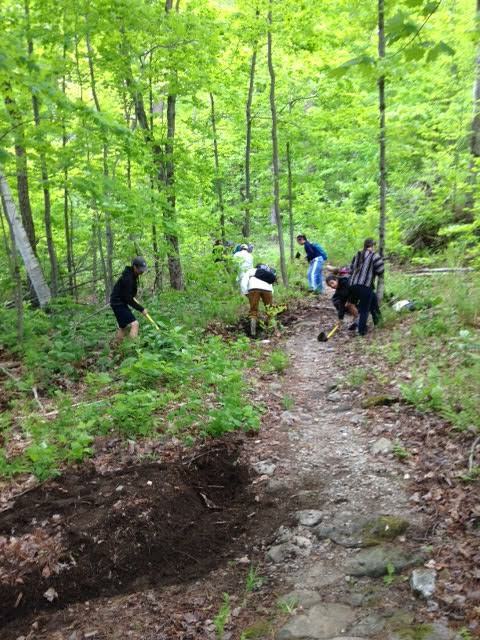 This Saturday from 9-12 the FOTW Pro Trail Crew and volunteers will be doing trail improvements to Henry’s Highlands. 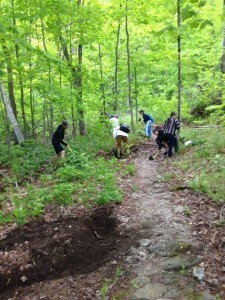 One group will start up the trail and improve knick outs and erosion areas for water to escape the trail. Then they will join the group up top on the ridge to finish connecting the trail. The second group will hike to the ridge and begin working where the trail crew installed a bridge at the beginning of the area that was logged last season. Several areas will be rerouted to move the trail off the existing logging road that was created. Please be prepared for bugs, sun and some hard work. FOTW will supply tools for mostly benching, clearing and creating run-off areas for water. Please bring sunscreen (no more trees so it’s very sunny at the top), bug spray, gloves,water and a snack. We think we can get the entire trail done by the time we leave. Then we can open the entire Carse network! The entire network has had the leaves blown off, drainage opened up, bridges fixed on Preacher, 28 trees removed and trail pruning taken care of. The only area that needs some TLC is Crucible which we will get to in the next two weeks. Some of the ramps and landings need replacing. FOTW will supply snacks and beverages after we are done. We look forward to seeing you there. Please bring a friend who may ride the area and who is not a member so they can see how much goes in to your trails. Thanks everyone and look forward to seeing you. Our popular high end mountain bike network at Carse Hills bridges two roads; from the north Lincoln Hill and the south Hollow Road. If riding up Henry Highlands, you will be on Lincoln Hill road, please park well off to the side near the logging road entrance but DO NOT block the entrance in case a large truck needs to remove the existing logs at the platform. There is an entrance sign there that allows you to know if the network is open or closed. Also best if everyone could park facing west. Be aware of cars, trucks and walkers up and down the road. Be responsible as always and try to get into the field as soon as possible as opposed to hanging in the road. On the Hollow road side parking is a challenge. There is no parking at the gate entrance to the trails, no parking in that large lot below the gate and no parking east on Hollow road where the water outtake is for fire engines. Also the bump-out area on the Big Hollow Road where it intersects Hollow Road is also not a designated parking area. The preferred and only legal area is 1.9 miles past the entrance headed east towards 116 on the right side. There are now signs an it is a grassy flat area with gravel in the lot. We are in discussion to open some of these areas up in the near future, so adhering to these guidelines will assist us greatly in this process. Thank you for your help and as always be responsible and polite. 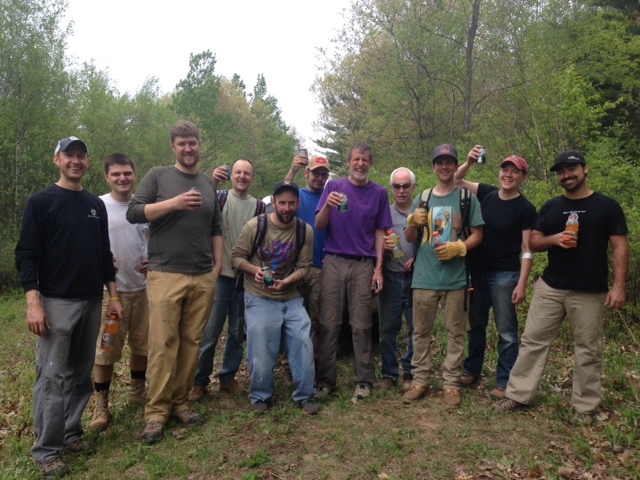 This past Saturday, 5/16, the Fellowship of the Wheel Professional Trail Crew led our first Volunteer Trail Day with 13 members and newcomers showing up. The Pro Trail Crew has removed a number of very large trees that were down and prepared the trails for riding weeks ago and will be revamping most of the Tri-Boro bridges due to old construction shortly. 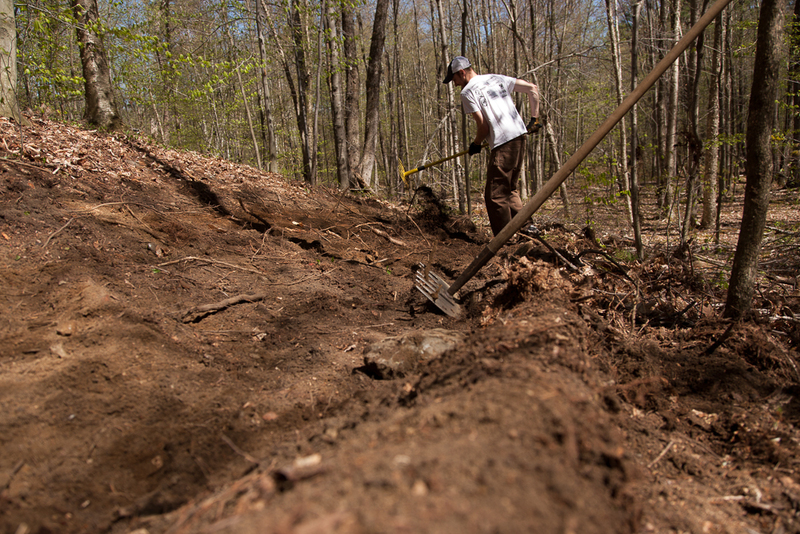 The volunteer’s task was to start installing a new trail that has been roughed in over the years that spurs off of the Blueberry Loop to the west and passes a small water area and circles behind the cable company’s building. This will be another beginners trail and we will add some small features for those to prepare themselves for more difficult trails around the area. 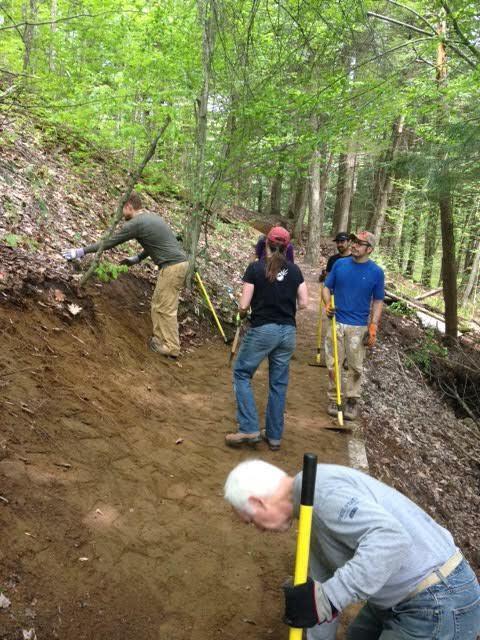 The FOTW is dedicating this new trail to Roger Frey, previous owner of Earl’s Cyclery and huge supporter of the biking community in the Chittenden County for over 30 years. More on this after the trail is finished! The black flies and mosquitoes have arrived for our working pleasure. Volunteers are always reminded to bring a snack, water, bug repellant, sunscreen and appropriate clothing. 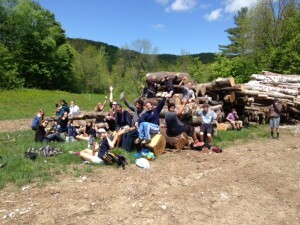 On Thursday evening, 5/21, from 5-7 pm, we will meet at the Mud Pond parking lot in Williston. A multitude of different tasks will need completing plus the clearing for a new trail to avoid the VAST Trail where it is very wet. Please prepare yourself the same as in the above list for your working and personal needs. Finally, on Saturday May 30, from 9-12 am we will be having a Work Day at Carse Hills on Lincoln Hill Road. We plan on re-installing a part of Henry’s Highlands that was disturbed during a logging project this past season. 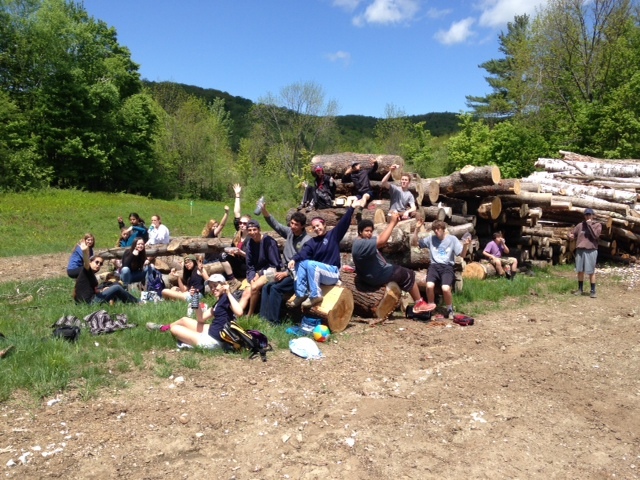 There will be a big hike to the top of the plateau where we will be doing our work. Mostly turf removal, pruning, and benching. This is a big job so please come out and support this project. We especially know there is a strong local contingency that uses this network, so we are looking for a strong showing by all the expert riders in the area. Please mind the road’s speed limit and we will be there to assist in parking. And, please leave your canine friends at home for this one. The crew has been working for almost two weeks now. We have cleared over 80 downed trees, removed debris and leaves from over 30 miles of trail and have opened almost all the major networks. Though they are not perfect, they are rideable. After everything is open we will be going back to take care of some of the problem areas. Thanks to all the members, we appreciate your help and a big thank you to all who have done your share already out on the trails. It does not go unnoticed and we appreciate your efforts! The 5-Pack FOTW Membership or your donation allows the Pro Trail Crew to get all this work done. Our membership is low for this time of the year so seriously think about helping the crew by joing today.